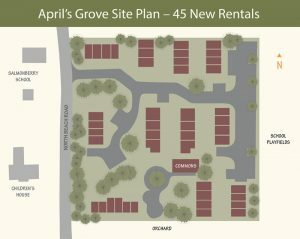 OPAL Community Land Trust will soon start to remove trees at the April’s Grove property. Jeanne Beck and Lisa Byers have worked for OPAL for most of its 28 years so they understand taking down trees may be hard to witness. OPAL is striving to keep as many of the existing trees as possible and hopes knowing more about the planning and design process will help ease the transition. For the full Islands’ Sounder Guest Editorial by Jeanne and Lisa click here. The Board of Trustees of OPAL Community Land Trust generally meets the third Thursday of the month from 4:30 p.m. to 6:30 p.m. in the Reddick Conference Room, 286 Enchanted Forest Road, Eastsound. Each meeting includes public access time. If you wish to receive an agenda or be placed on the agenda, please contact Lisa Byers at the office, 376-3191, or send her an email.